Bullying occurs every day in schools across the country. Some days you will see it and some days you won’t. But when it occurs right in front of you by a close friend, you need to do something about it. You owe it to your friend to encourage kindness and respect. And you owe it to the victim to put an end to it. 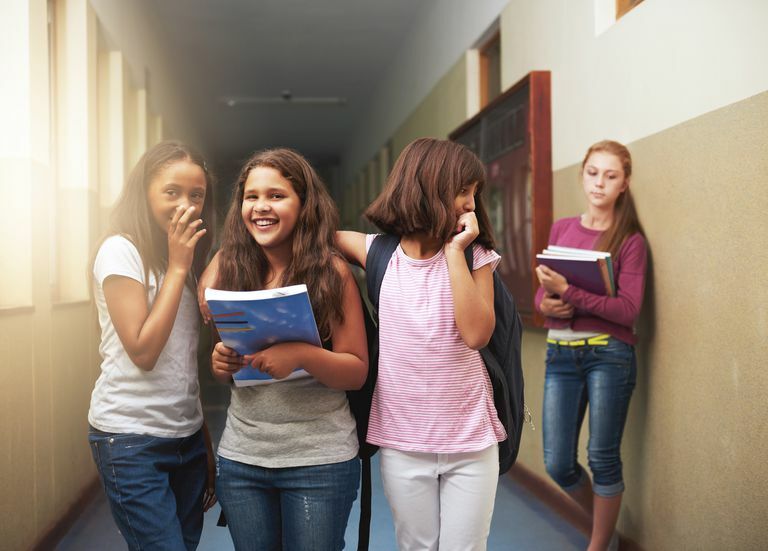 Here are five things you can do to prevent your friend from bullying. If you witness your friend bullying someone, it is vital that you say something to end the behavior. You should never remain silent. Out of all the people witnessing the bullying, you are the most likely one to be able to bring it to an end. You don’t have to yell or make a big deal out of it. Just simply say “stop” or “that’s not cool.” You can even distract your friend by asking a random question. But the important thing is that you say something. Whatever you do, do not laugh or join in. This only makes things worse for the victim. And it encourages your friend to continue bullying. If telling your friend to stop feels awkward for you, then distract your friend in some way. Make a joke or encourage your friend to come with you to get something from the vending machine. You could even start asking questions about school or a sports team. The goal is to create a distraction in some way so that your friend stops bullying. Remember, if you don’t do or say something, your silence implies that you agree with the bullying. If your friend keeps bullying, you can always walk away from the situation. This way, you are not giving your friend an audience for the bullying. Also, simply walking away sends a very powerful message about how you feel about bullying. Once the situation has passed, be sure to talk to your friend about the risks of bullying. Remind him that he could get in trouble including getting suspended. Also, try to get him to see how bullying impacts the victim. Ask him how he would feel in the same situation. Also, remind him that if he bullies other people while you are together, then he is putting you at risk as well. Sometimes the best way to keep your friend from making poor choices is to lead by example. Be sure you are treating people with kindness and respect. Stand up for those who are weaker than you and befriend kids who are alone or isolated. Many times, kids who bully are looking to fit in or belong. If your friend realizes that in order to be your friend, he needs to treat others well, then he may be more likely to stop bullying. If despite all your efforts, your friend still bullies other people, it is time to limit your contact with this friend. This may mean that you simply stop spending as much time together. Or, it may mean that you tell your friend you don’t want to spend time together. Whatever your means of communication, you cannot maintain a friendship with someone who is not kind to other people. In fact, if your friend frequently bullies others, at some point he may begin bullying you as well. It is time to draw a line in the sand and limit your contact with this friend until he starts being more respectful. Remember, simply associating with a bully can cast a negative light on you as well. Even if you never do or say a mean thing, your friendship implies that you agree with his behavior.